Our comparative view of My Snoring Solution and CPAP (Continuous Positive Airway Pressure) machines will outline two very different solutions to your snoring issues. My Snoring Solution is a jaw supporter or chin strap that can keep you from snoring. On the other hand, CPAP machines use an air pump in order to force pressurized air through your nose and keep your air passages open at all times. The chin strap is designed to wrap around your neck, head, and lower jaw, with slits for your ears. CPAP machines, on the other hand, feature face or nasal masks that cover the mouth and nose. My Snoring Solution can be used right out of the box without any special assembly required. You might want to wash it first, though. CPAP machines have several integral parts, so they do need to be assembled before you can use them. They feature a mask, machine pump, tubing, and a replicable internal filter. Note that the filter should be changed regularly. With a chin strap, things are pretty straightforward, either it fits or it doesn’t. Bottom line, you want the perfect fit or the chin strap won’t do much for you. 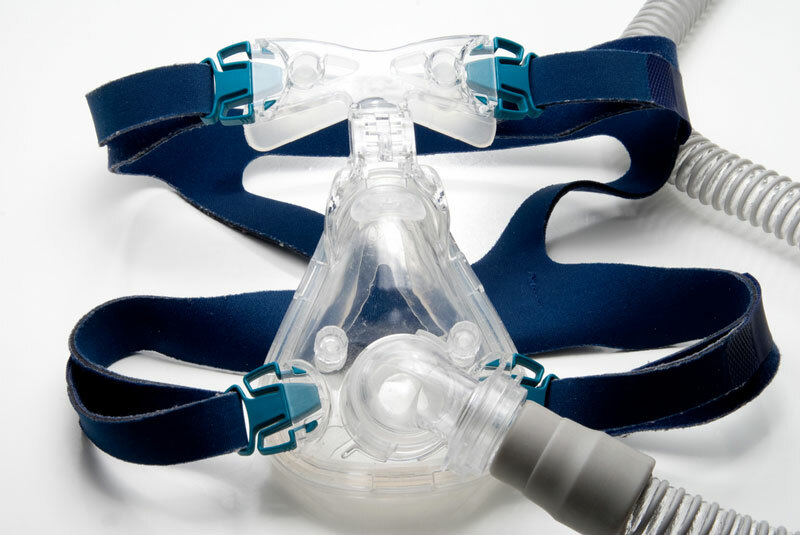 CPAP machines do require some manual adjustments of the nose fitting and the straps connected to the mask. This gives them more room for customization, so you don’t have to be as careful as you would with a chin strap. Both of these devices work. With that said, CPAP machines are also equipped to deal with OSA whereas chin straps can’t help with sleep apnea. Furthermore, chin straps are only effective if your main problem is sleeping with your mouth open. If you snore because your tongue blocks your airflow, chin straps will not help. It seems that CPAP devices just have a wider area of application than My Snoring Solution chin straps. Chin straps do not come with additional features. Yes, you can combine them with MADs, but that’s not exactly what we’re talking about here. With My Snoring Solution, what you see is basically what you get. CPAP machines, on the other hand, do have some extra features available. These include things like a built-in (waterless) humidifier, event detection, cellular connectivity, and others. Chin straps are usually machine-washable, so you don’t have to worry too much about the cleaning process. In order to clean a CPAP machine, you’ll have to detach the tubes and the mask and wash them with soapy water. The pump can be cleaned with a damp cloth. Experts recommend cleaning them at least once a week.